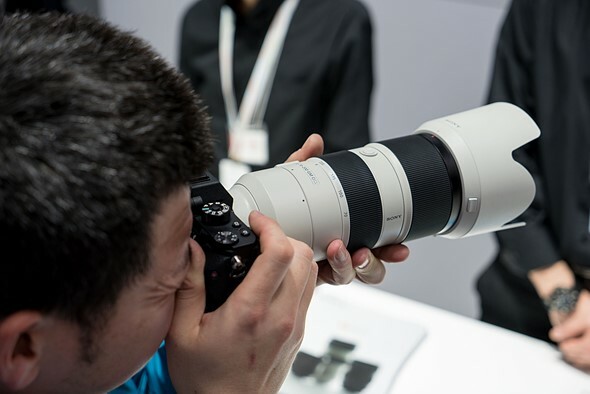 Sony has said that the FE 70-200mm F2.8 GM OSS lens for its E-mount cameras is to be delayed until September. When the lens was announced in February this year the company expected to be delivering the tele-zoom to stores this month. No reason is given for the delay, but the statement thanks users for their patronage and apologies for the inconvenience. Along with the zoom the company will also push back the release of the two tele-converters that are supposed to go with it – the SEL14TC 1.4x converter and the SEL20TC 2x converter. The FE 70-200mm F2.8 GM OSS is part of a new G Master range of lenses designed with the company’s full frame a7 series of cameras in mind – though they are also compatible with the APS-C models. Other GM lenses announced along with the 70-200mm F2.8 are the FE 24-70mm F2.8 GM and the FE 85mm F1.4 GM. For more information see the Sony website.